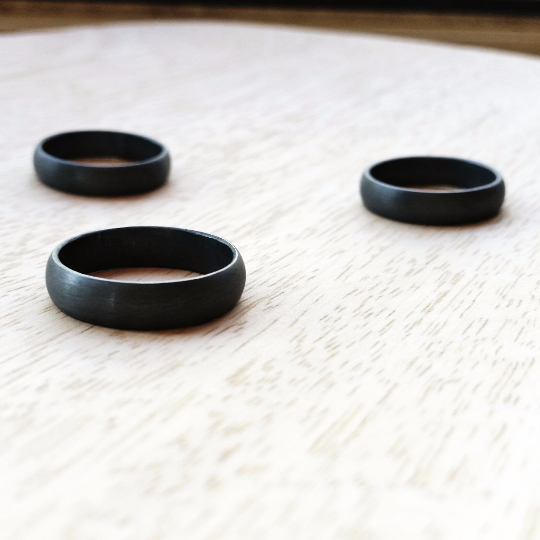 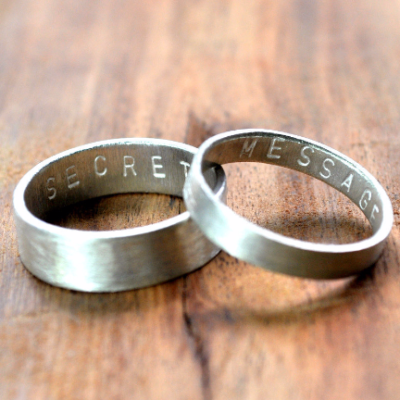 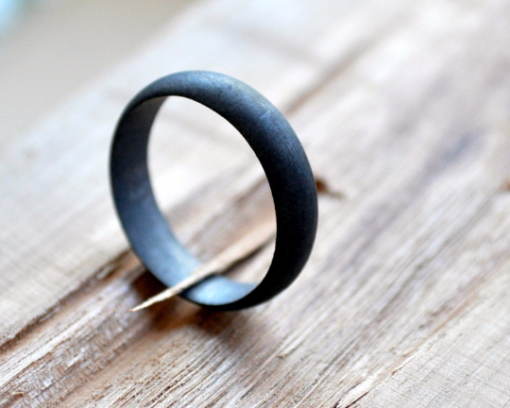 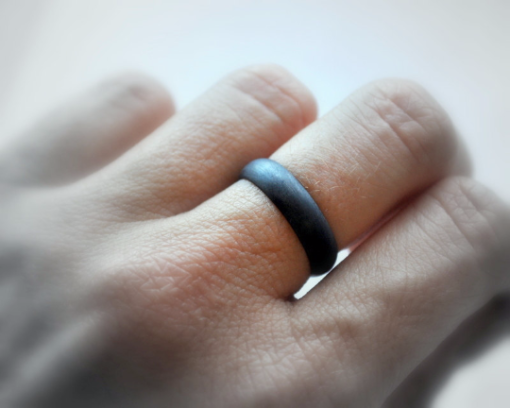 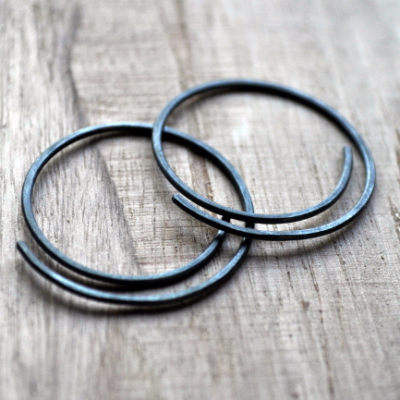 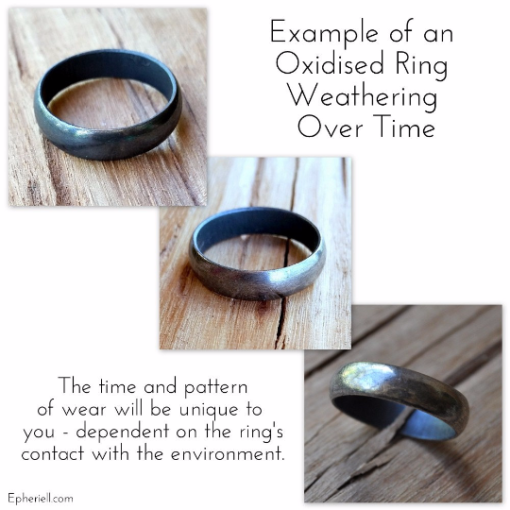 A handmade sterling silver wedding band with a matte, oxidised black-grey finish. 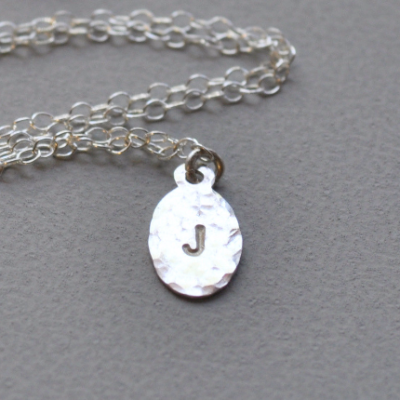 This is our best-seller! 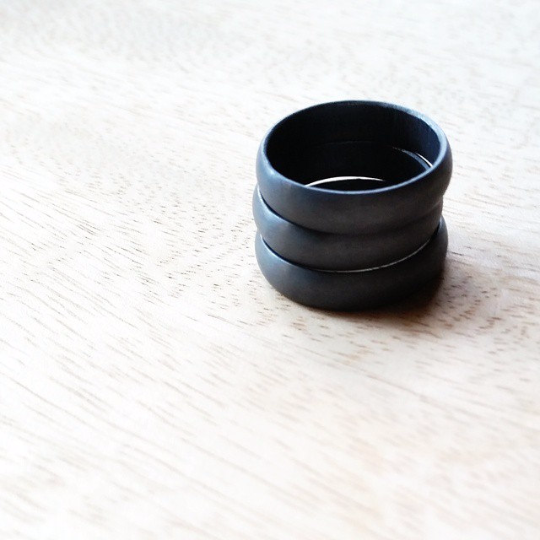 This ring is 5mm wide in a half-round style.